1. 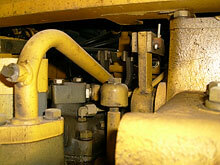 Technical condition diagnostics of road rollers and graders – diagnostics of defects and grade of component wear. Current maintenance comparing to general maintenance includes preventive measures: change of oil, filters and electric equipment which is out of work, change of bearing sets, necessary adjustments, welding works with the help of professional welding equipment. For conducting current maintenance usually there is necessity of our specialist attendance of exploitation site , or component check, dismantling and sending of worn components can be done by the owner of the machine. After that we will conduct all repair works of components, test at the plant and send renewal parts to the owner. Road Construction Machinery Factory LLC suggests you almost all variety of spare parts for equipment and machines for road-building works: road-building machines, earthmoving machines produced by leading Russian and European producers. We have special programs of spare parts delivery in short terms of delivery . spare parts delivery can be done monthly, once in three months or on any individual schedule which is preferable for the client. There is payments and discounts, which is created individually for each client. 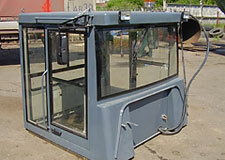 Many years of work on the market of road-building machines provide our clients with good supply service.